Selenium is a powerful mineral. Needed only in very small amounts, it plays a crucial role in your cells’ defenses against cancer. It is a central part of the enzymes that knock out free radicals, the unstable molecules that can attack your cells and ultimately lead to cancer. It also plays a role in recycling antioxidants through the body. These antioxidants, such as vitamin E, then lower the risk of cancer by preventing free radicals from damaging cells. Selenium may also protect the body against contaminants such as mercury, cadmium, and silver, help speed the elimination of cancer cells, and slow tumor growth. 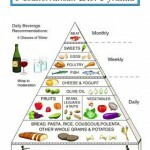 In addition it helps with the immune system, and it helps with your liver to function better. 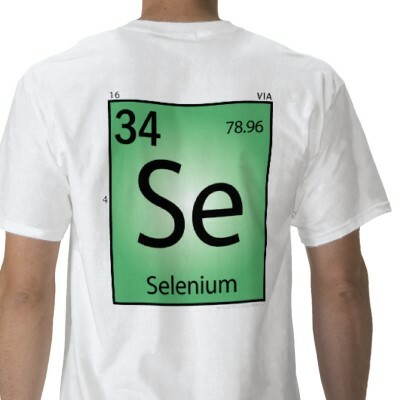 How do we get selenium? We get selenium from our foods. It exists in the soil that food grows. Selenium occurs most abundantly in soil containing volcanic ash. The soil in northeastern, Pacific, southwestern, and extreme southeastern regions of the U.S. are all deficient in selenium. In Canada, the north central and eastern regions are deficient. Food grown in these areas will also be deficient in selenium. In fact the average American diet contains about 33 mcg of selenium a day. This is about one half of what is minimally required and 1/20th of the Cornell recommendation for cancer prevention. 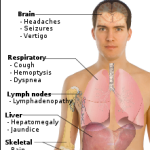 A selenium deficiency is very serious and can cause nerve and heart dysfunction. Fortunately, most people in the world get plenty of selenium, except, perhaps, in unusual areas where soil selenium is low and food fortification is inadequate. Studies have shown that selenium intake above the recommended dietary allowance (RDA), while not necessary for normal body function, may protect against certain cancers. In one region of China, where epidemic rates of esophageal and gastric cancers occurred, the risk was cut in half after large dose of selenium were given. In populations at higher risk for prostate cancer, selenium supplements decreased risk and growth rate of tumors. Selenium supplements may also be able to halt the growth of polyps in the colon and reduce the risk of lung and liver cancers. However, it’s still best to get your selenium from foods, because too much can be toxic. While the U.S. RDA for selenium is 55 micrograms, studies show that for maximum protection against cancer, intake of selenium as high as 100 to 300 micrograms per day or more is necessary. To increase your intake of selenium for maximum cancer protection, base your meals on a variety of grains. Using data from seven previously published studies, researchers looked at the connection between selenium and bladder cancer risk in nearly 20,000 people. Those with the highest selenium levels—as measured in toenails and blood—had a 39% lower risk of developing bladder cancer, with the most protection seen in women. (Toenail selenium levels are actually a good measure of long-term selenium intake, while blood levels indicate more recent intake.) Earlier studies have suggested that selenium may also protect against other types of cancer—lung, prostate, and intestinal, for example—though not all results have been consistent. Selenium may help fight cancer by acting as an antioxidant, the researchers say. 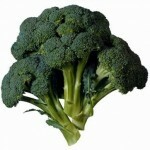 It may also help cancer cells self-destruct and help repair damaged DNA, among other mechanisms. It’s unclear, though, why women in the current study were more protected than men. “In conclusion, this meta-analysis supports an inverse association between selenium concentration and bladder cancer risk,” write the study authors. Larger observational and randomized trials are needed to confirm the results. There have been some studies that indicate taking Selenium supplements and Vitamin C supplements, two great antioxidants, together, might cancel out the benefits of both. It is suggested to take selenium with food. Vitamin E aids in the absorption of selenium, so you might want to take it with Vitamin E.
In another study in Cornell University the Cornell doctors recommended that each of us should be sure to consume more selenium then the RDI suggests. The RDI is the recommended daily allowance. It is set at 70 mcg of selenium a day for both men and women. Too much selenium in can cause a condition called selenosis, resulting in loss of hair, nail problems, nausea, irritability, fatigue, and mild nerve damage. However, selenium toxicity is extremely rare. A lack of selenium may, in fact, be far more common and potentially more dangerous to health. According to the National Institutes of Health, people age 14 and older should take in about 44 micrograms of selenium a day. But research claims we need not lower than 200 and as high as 600 mcg for the antioxidant effect and to help prevent cancer. Ask the average doctor if you need to take a selenium supplement. The answer will probably be, “No, just eat a balanced diet and you’ll be fine!” Typically, the average doctor’s twelve hours of nutrition in medical school hasn’t kept pace with the thousands of studies in nutritional science. 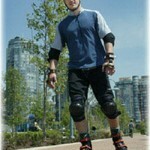 Unfortunately, many physicians are as overweight and under-exercised as their patients. Their rates of cancer are as high and, in some cases, even higher than the average population. Doctors need this information as much as the lay public. The experts at Cornell UniversityCornell University had proof that America could stem the rising tide of cancer, if each individual would consume about 600 mcg of selenium a day. Not 70 mcg, as the RDI erroneously suggests. Nearly 10 times the amount of the RDI! 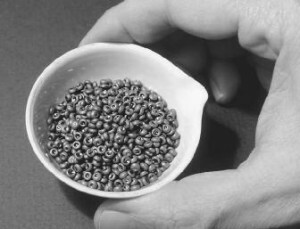 Selenium has been shown to improve the efficiency with which DNA can repair itself after being exposed to damaging substances. This means your body can fight poisons better when adequate amounts of the mineral are available. The toxic residues of all the denatured, artificial foods you eat, pesticides, antibiotics, bacterial contamination, vaccines, drugs, environmental pollutants. . .
Another study conducted at the University of Arizona of 1,700 elderly Americans showed that those with low levels of selenium are more apt to have polyps in the gastrointestinal tract (33% compared to 9% in those with a high level of selenium). The same study showed those taking 200 mcg of selenium over 4.5 years have 63% less prostate cancer, 58% fewer colorectal cancers, and 46% fewer lung cancers. Overall, there were 30% fewer new cancers, and 50% less overall death from cancer. The Health Professional Follow-up Study found that those men with the highest intake of selenium (top 20 percent versus the bottom 20 percent) had a 51 percent lower risk of developing prostate cancer. In a clinical trial, 1,312 people were given 200 mcg of selenium a day for four and a half years. 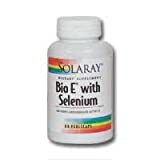 They found a drop in prostate cancer of about 50 percent compared to controls not taking selenium. Another study of 3,000 older Dutch peopleDutch people showed a reduction of lung cancer risk by 50% for those on selenium. And in Finland, in a study of over 12,000 people, cancer deaths were highest among people with the lowest intake levels of selenium. The author of the study, (“The importance of selenium to human health,” The Lancet, Volume 356, Number 9225, 15 July 2000), Margaret Rayman, a professor of nutritional medicine at the University of Surrey in Guildford, England, began focusing on selenium several years ago, after her research into the condition known as preeclampsia showed that low selenium levels were a common denominator in all the women in the study. Her research went on to discover that in the UK, and in Europe as well, selenium levels were abnormally low overall. Rayman found that dietary consumption of selenium had dropped 50% in the past two decades, a time period during which the UK had reduced it imports of selenium rich North American wheat in favor of selenium poor European wheat.